Piazzetta di San Martino is a very small square almost exactly in between Palazzo Vecchio and the Duomo. This place is never part of standard tours and this is a shame because the small square has at least three attractions worth a look. 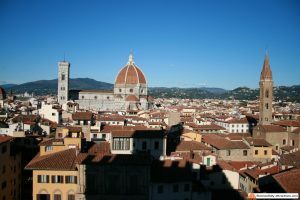 The Torre Della Castagna, the Oratorio di san Martino, and the Trattoria del Pennello. 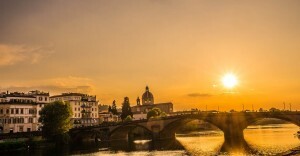 The Republic of Florence existed since at least 1138 (first mention of an independent government in historical documents), but started building Palazzo Vecchio only in 1299. 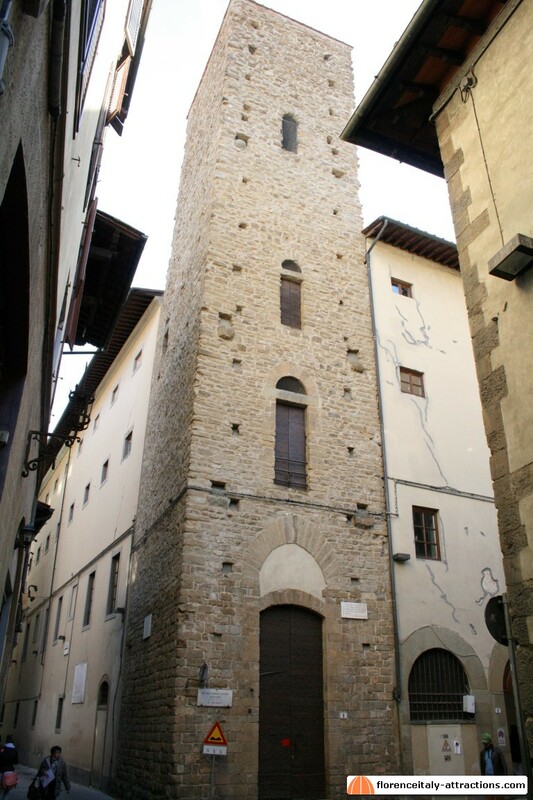 Before the town hall was built, meetings and votes happened in the Torre Della Castagna, an ancient medieval tower which is in the Piazzetta di San Martino. You can’t enter in the tower, but you can see the typical architecture of the 12th century when towers were actually built as defensive facilities for rich families. Originally there were no doors at the ground floor, and someone had to hand you a ladder in order to enter. The name castagna means chestnut: this is because the members of the government used to vote with chestnuts, placed in the “yes” or in the “no” pot. Florentine dialect word ballotta also means chestnut, most probably this is the origin of the word “ballot”. This is the oratory of the ancient church of San Martino al Vescovo (destroyed), the real parish church of Dante Alighieri. 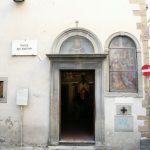 In 1441 became property of the Compagnia dei Buonomini di San Martino, a charity organization that still exists and still owns the oratory in Piazzetta di San Martino. You can enter and admire frescoes by Domenico Ghirlandaio and his workshop, an example of Renaissance artwork. 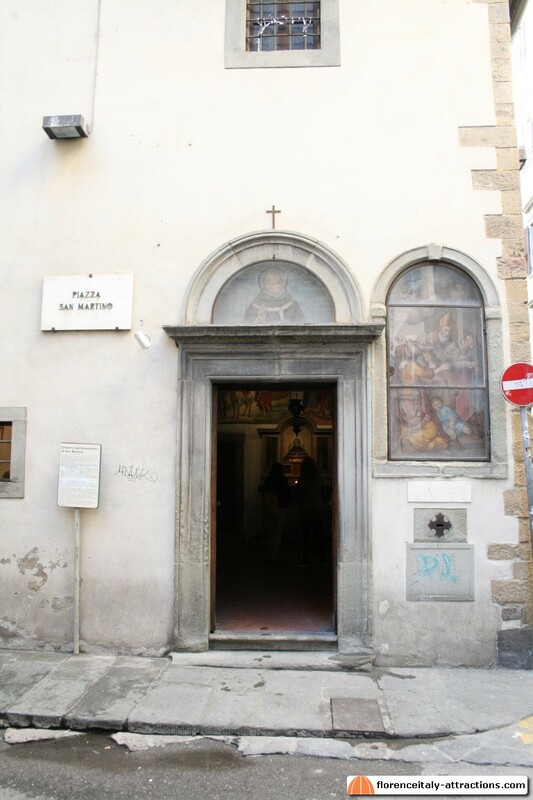 More info on the Oratorio di San Martino can be found here. 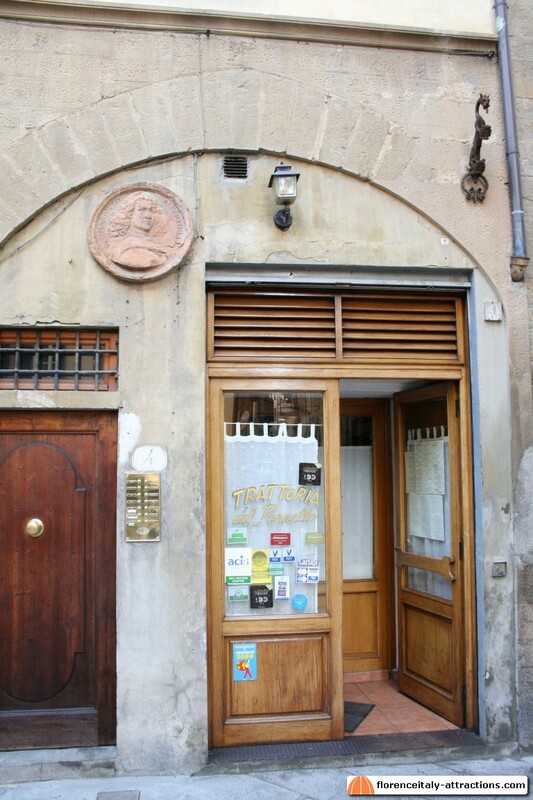 I hope it’s lunch time when you get to the Piazzetta di San Martino because the small square hosts one of the historical restaurants of Florence: Trattoria del Pennello. 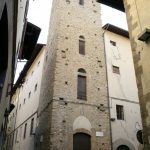 Here you can eat typical Tuscan food; it’s not expensive, English friendly, and also the restaurant is filled with history. 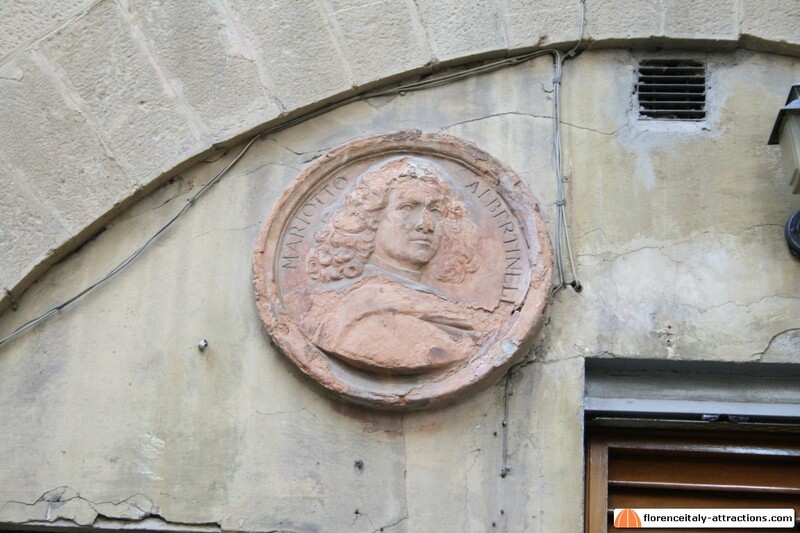 Pennello means paintbrush, not unusual in a city with so many painters you would think, but the reason is that the restaurant was actually opened by a painter, a pretty famous one: Mariotto Albertinelli, whose portrait in terracotta is attached to the wall outside the Trattoria. Mariotto Albertinelli (1474-1515) was a very good painter, partner of Baccio della Porta. He gave up painting when his partner decided to become a Dominican friar (and also much more famous as a painter with the name of Frà Bartolomeo). 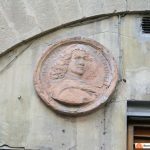 They still collaborated occasionally, but Mariotto, according to Vasari’s lives, opened a restaurant, which was moved twice (lacking customers) before getting in Piazzetta di San Martino where it finally had success. 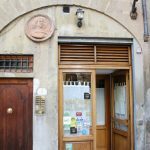 Artists like Michelangelo, Pontormo, Benvenuto Cellini and Andrea del Sarto were among the customers of this restaurant, so why not you? Don’t expect to visit the Piazzetta di San Martino with a group tour. If you want this attraction to be part of your tour, contact us to arrange a private tour.